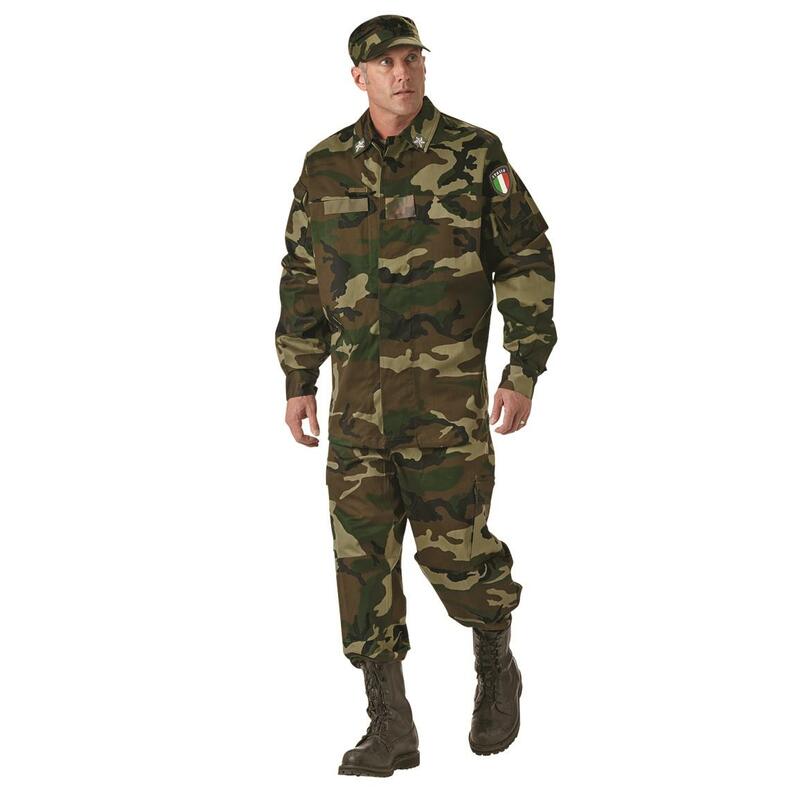 A complete BDU (Battle Dress Uniform) Set, for full coverage protection and comfort while hunting, camping or just exploring the Great Outdoors. Woodland camo blends into a variety of terrain. Easy-care cotton blend keeps going and going. Here for a military surplus price! Ready to enlist in your outdoor wardrobe! 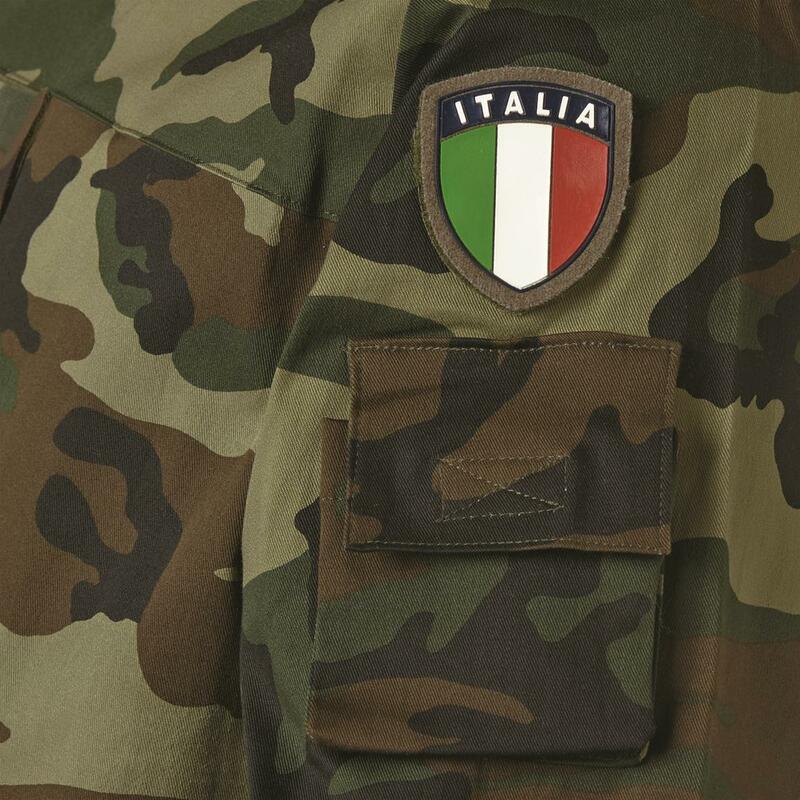 Italian Military Surplus BDU Jacket and Pants with Hat, New is rated 3.3 out of 5 by 6. Rated 1 out of 5 by Yun Z from It is military style uniform. I got the hat that was completely different with the store's description in neither Picture nor Key Features. Rated 3 out of 5 by Oleg from Price is right Hat is not like on a picture, Velcro patch italia is missing. Overall is a good BDU new condition. Good to have it. 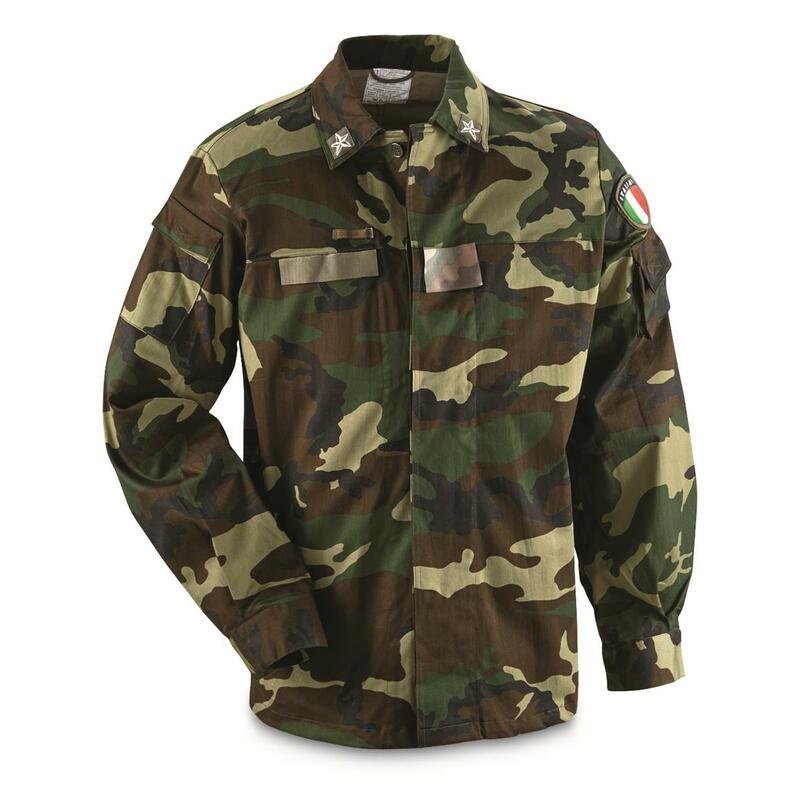 Rated 5 out of 5 by hh55 from great price These are nice and they come with all military patches. They are not as good as US military. 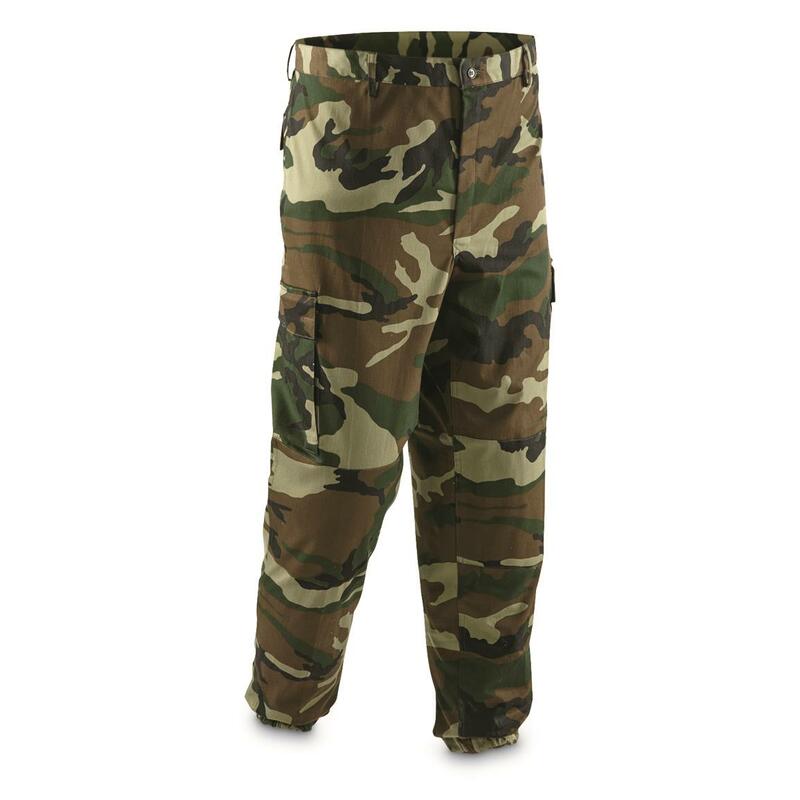 Meaning thickness but these for the money are great cammies. come with hat, pants and jacket. Rated 5 out of 5 by greed5260 from Great product! Nice set of BDUs. Fit was great even after a wash. Pants do not come with front slash pockets. The thigh pockets are velcro and a zipper and the rear only has velcro. The shirt/jacket has 2 chest pockets on the inside and a pocket on each bicep. The hat is like the US Army but with some elastic in the back. For $17.99 I wished I had gotten another set. I am very pleased. Rated 5 out of 5 by DocP from Brand new awesome! These came in looking unissued, size seems to be correct as listed, great set , not too heavy or light.